What if you could help folks get out of jail, but didn’t need to go to law school? If you’ve thought about working with the criminal justice system but don’t want to become law enforcement or an attorney, there are other options to choose from. Working as a bail bondsman allows you the chance to help people bail out of jail. Since crime doesn’t go down even in times of recession, there’s always a need for a bail bond agent. If you’re ready for a change outside the normal 9-5 but don’t know what the difference is between a bondsman and a bonding agency, get ready to learn more. Individuals apprehended by the police and taken into custody normally sit in jail until their trial day. Many who have the resources post their own bail and bond out until their court date. Some people don’t have the money available and need an alternative. That’s where a bail bond agent comes in. Bail is usually 10% of the full cost to bond out. This makes it more affordable, although in some cases individuals still need the help of a bail bond agent before they can get out. A bonding agency employs several bail bondsmen to work for the same company. The job is the same as if you worked by yourself, but you’ll be working with several other people in the same office. Some people find it helpful to start in an agency so they can learn the basics. You can find help from a supervisor or co-workers when you’re new to the job and unsure of how to proceed. Some areas require you to have sponsorship from an agency before you can begin working as a bail bondsman. In cases like these, getting a start at an agency prove to offer you the best chance of breaking into the industry. Depending on where you live, there are different requirements as a bail bondsman before you can start working. You’ll normally need some form of education and need to work for a while under an experienced bail bondsman. After a certain period of time, you can take the test for bondsmen in your state. If you pass, you’ll get your license, which expires after a certain amount of time. You’ll help folks by posting bond for them, while taking collateral in exchange, such as a car or real estate. In some cases, people jump bond and run off, which is why you’ll need property to seize in the event you can’t get them back. If you’re working as a runner bondsman or bounty hunter, you can collect the individuals and bring them to law enforcement for the money. As with any position dealing with criminal activities, you need to evaluate if you can work in a dangerous environment. If you believe helping to uphold the law and a sense of duty are important in your work, this might prove to be an ideal job for you. In some states, it’s illegal to post bond for a living. In these cases, posting bond is something only family or friends do. All these states and a few others outlaw bounty hunting as well. If folks try to bail jump or leave town, it’s against the law or discouraged from pursuing them in the hope of getting your money back. Although there’s still plenty of states where you can work as a bondsman and even get help from a bounty hunter if needed, know that your new job isn’t a possibility in every state. If you ever plan on moving in the future, you know where to go (or not). Even in states where bail bonds for profit are legal, remain aware of what your local laws are. This helps you stay in compliance and avoid any problems while doing your job. If you’ve ever had a felony or your spouse works in law enforcement, you’re not eligible to work as a bail bonds agent in many states. Although you hope for the best when working with clients, it’s possible that you’ll have some who jump bail and don’t attend their court date. Courts tend to act in a strict manner in regards to defendants skipping out when they’re supposed to make an appearance. As a bail bondsman, you have a limited number of options available to you. If bounty hunting is legal or you’re a bounty hunter, you can go after the defendant and bring them back to court. If bounty hunting isn’t legal in your state, it’s possible to sue the defendant for damages to recoup some of the money. In most cases, you’ll have taken collateral to use in the event a situation like this arises. 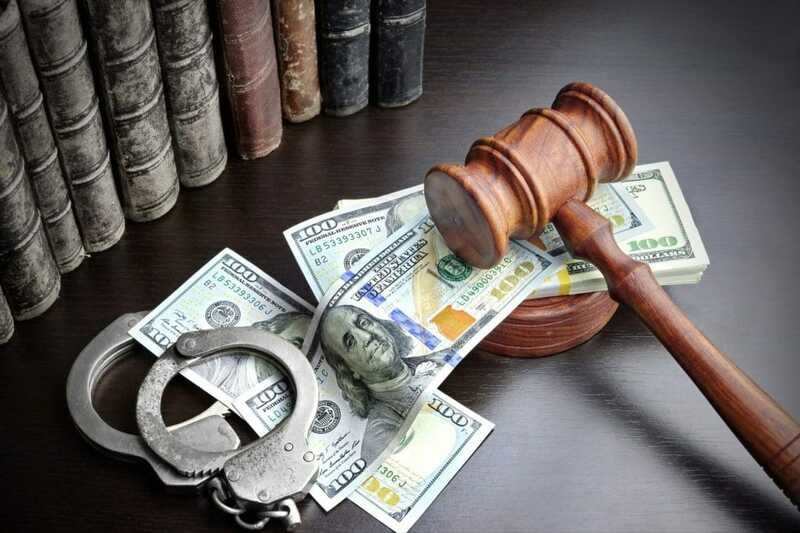 Although frustrating to deal with, having collateral e ensures the debt to your bail bondsman company gets paid. A career as a bail bondsman provides you with a unique job that’s always in demand. With education and experience, you can provide services to people in need of help posting bond, and make a difference within your community. If you’re curious about what it takes to get started, fill out our application to join us. We can help guide you along the way as you start your journey working in bail bonds.